Massage may be the oldest and simplest form of medical care. Today it is known mostly for types of relaxation and comfort and most people look to massage for comfort rather than medicine alone. Many years ago however, it was used as a cure for many ailments. Doctors used to incorporate many forms of manipulation of the body to help comfort the body through disease and pain. Often when people think of massage and which body system it affects they think muscles; Sore, aching, tight muscles. It does relieve muscle tension but how it does this is brought about by the stimulation of nearly all the body systems either directly or indirectly. In Eastern cultures, massage has been practiced continually since ancient times. A Chinese book from 2,700 B.C., The Yellow Emperor’s Classic of Internal Medicine, recommends ‘breathing exercises, massage of skin and flesh, and exercises of hands and feet” as the appropriate treatment for “complete paralysis, chills, and fever.” It was one of the principal method of relieving pain for Greek and Roman physicians. Julius Caesar was said to have been given a daily massage to treat neuralgia. Proof of massage also dates back to Hippocrates of Asclepides, the father of Western medicine, where two Greek physicians who were commonly associated with physical medicine used techniques of massage as their principle therapeutic modality. Aesculapius also promoted massage, in conjunction with herbs, diet, relaxation, and hydrotherapy. Aesculapius was another 5th century B.C.E. healer in Greece who was pivotal in the development of Western medicine. 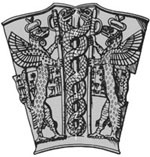 You might not recognize his name, but you’re bound to be familiar with the symbol of Aesculapius: two serpents coiled around a staff, the symbol of modern Western medicine. This image is related to the ancient yogic conception of kundalini, the energy coiled at the base of the spine that rises upward through the body with meditation and yogic practice, visualized as a serpent. If you’ve seen a picture of the body’s seven chakras connected by a spiral or a double spiral, you’ve seen the diagram that prefigured the staff of modern Western medicine. Several documents dating back to 800A.D. also mention the use of bodywork on muscles. Herbs oils, and other substances rubbed on bodies were also mentioned to protect and heal. In 1363 Guy de Chaulic published a book about surgery, where he described different methods of bodywork in conjunction with surgery. Paracelsus found that bodywork was not only an important therapy but that it was necessary. Per Henrick Ling founded Swedish massage in the nineteenth century by curing himself of his rheumatism through massage. He began as a gymnastic coach who helped his athletes with their injuries. He later formed the Royal Gymnastic Central Institute in Stokholm, Sweden where his students carried out his work. They proved that injuries could be cured through various types of massage, Swedish being the most practiced.